Triodia pungens, copyright Mark Marathon. 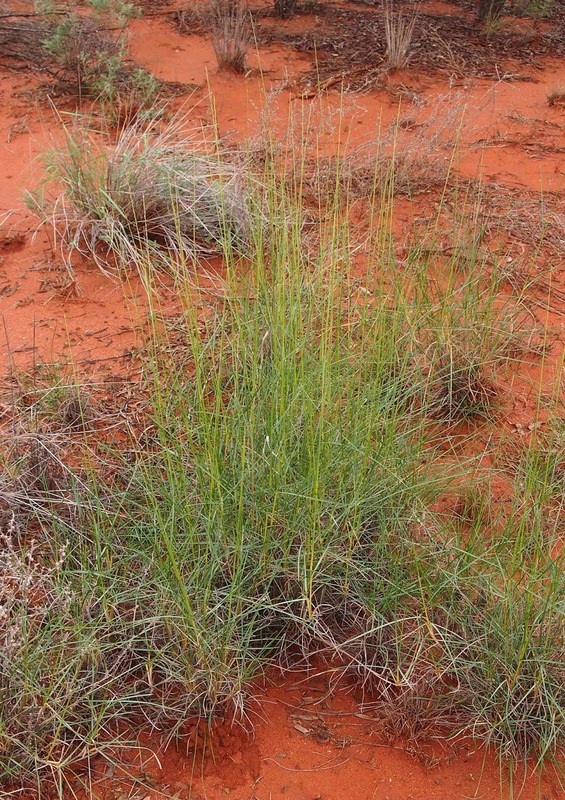 Triodia, spinifex, is a genus of grasses with rigid, spine-like leaves. Characters (from Cheeseman 1906): Perennial grasses, of very various habit. Leaves narrow, rigid. Spikelets 2- to many-flowered, arranged in a lax or narrow panicle; rhachilla disarticulating above the two outer glumes and between the flowering glumes. Two outer glumes longer or shorter than the flowering glumes, somewhat rigid, empty, keeled, acute, awnless. Flowering glumes more or less imbricated, rounded on the back at the base, coriaceous or chartaceous, often hairy on the margins and callus, 3-nerved, 3-lobed or 3-toothed at the apex, the lobes equal or the central one produced into a short awn or mucro. Palea broad, thin, with 2 almost marginal keels. Lodicules 2. Stamens 3. Styles short, distinct; stigmas plumose. Grain usually compressed on the back, free within the flowering glume and palea. [BS05] Butcher, R., & L. W. Sage. 2005. 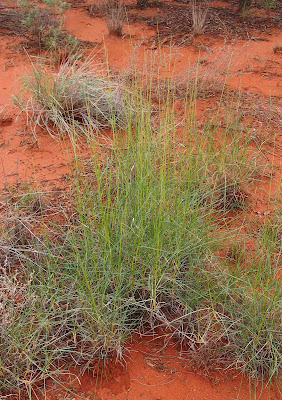 Tetratheca fordiana (Elaeocarpaceae), a new species from the Pilbara of Western Australia. Journal of the Royal Society of Western Australia 88 (2): 73–76. [CWB06] Craig, M. D., P. C. Withers & S. D. Bradshaw. 2006. Patterns of diet and microhabitat use by four species of sympatric Ctenotus lizards: do they reveal foraging specialisation? Journal of the Royal Society of Western Australia 89 (1): 1–5. [HD04] How, R. A., & J. Dell. 2004. Reptile assemblage of the Abydos Plain, north-eastern Pilbara, Western Australia. Journal of the Royal Society of Western Australia 87 (3): 85–95. [LF10] Langlands, P. R., & V. W. Framenau. 2010. Systematic revision of Hoggicosa Roewer, 1960, the Australian 'bicolor' group of wolf spiders (Araneae: Lycosidae). Zoological Journal of the Linnean Society 158: 83–123. [P-JO04] Pruett-Jones, S., & E. O'Donnell. 2004. Land birds on Barrow Island: status, population estimates, and responses to an oil-field development. 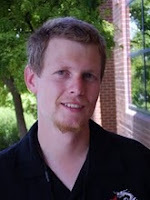 Journal of the Royal Society of Western Australia 87 (3): 101–108.